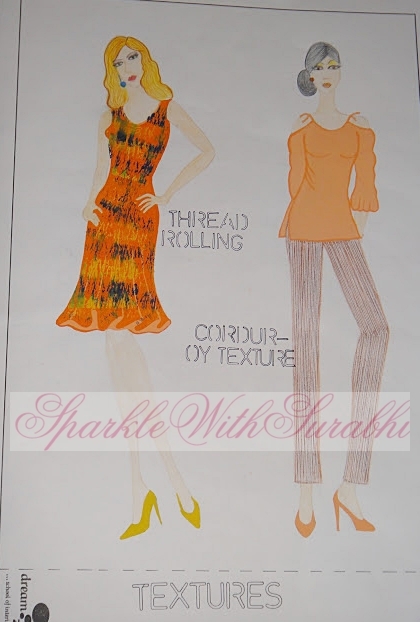 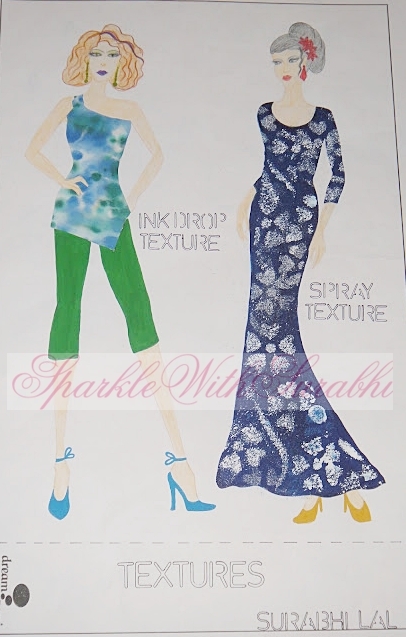 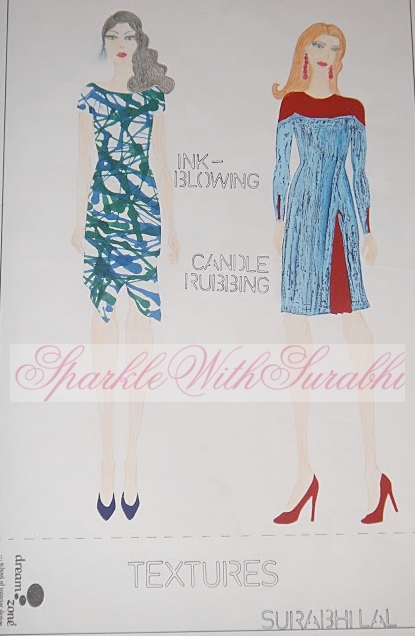 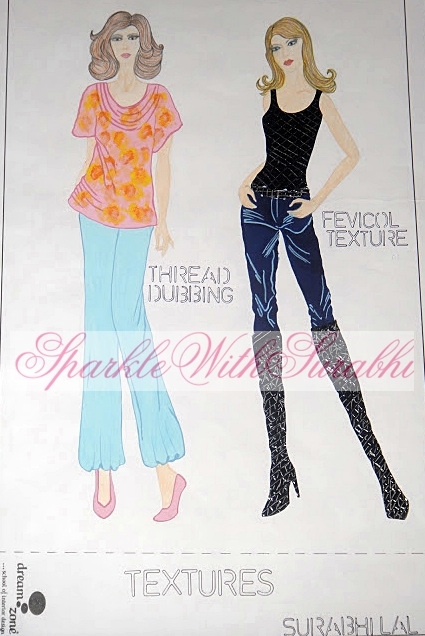 Indian Beauty Blog | Fashion | Lifestyle | Makeup | SparkleWithSurabhi : Textures - Fashion illustration. 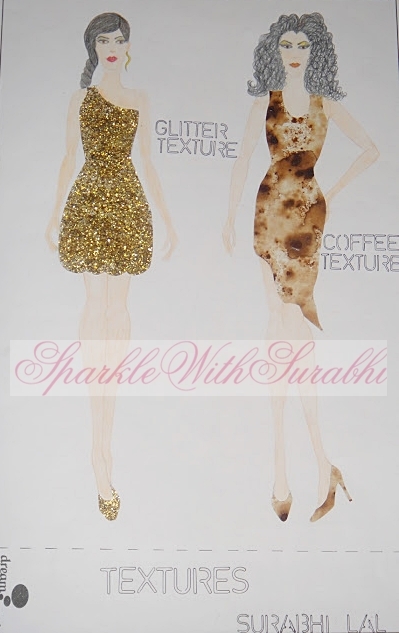 These are some the Sketches and Textures that I have created .....these textures have been created with help simple kitchen, household and art and craft items like Coffee, Thread, Fevicol, Pencil, Glitter, Jute, Toothbrush, Candle, Ladyfinger, Ink and Scale. 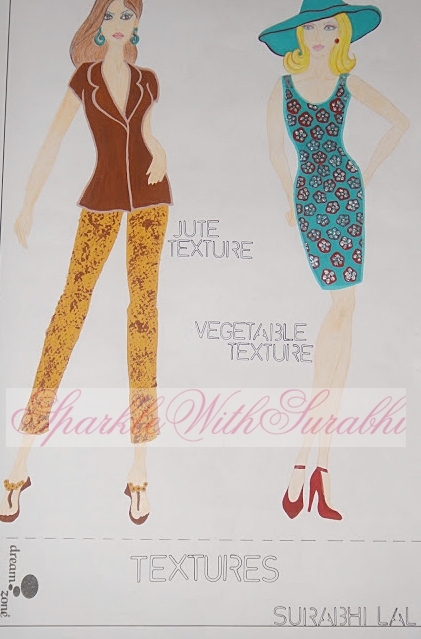 Traditional Embroideries of Indian States!